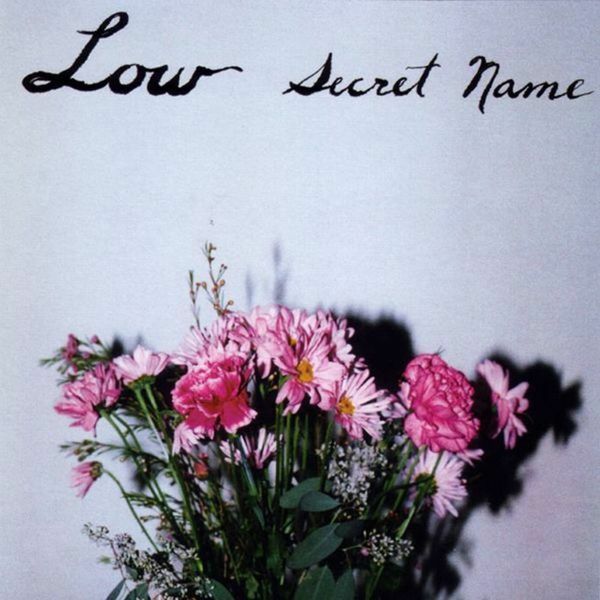 Secret Name' was Low's full-length debut on Kranky, recorded by the Godlike Steve Albini, it slipped out after the glorious 'Songs for a Dead Pilot EP' and continues many of the themes they would later make their trademark. They tell me Low invented slowcore... well I can handle that, certainly on this 1999 album they were slower than any other band I can remember at the time, the thing is that they make it so damn inviting. I don't think there's another band who can make such obscenely depressing songs sound so beautiful, so damaged and so addictive. There's a bit of a fad at the moment for 'emo', so I gather, and seeing kids moping around the city streets, hair over their eyes and wrists bandaged - it makes me want to throw them a few Low cds, and see how they'd take music that is so genuinely emotional. If you haven't managed to hear the band before, 'Secret Name' is the perfect starting point, and if you've heard them and don't own this record then please, I emplore you, buy this without delay. Simply incredible music.